U.S.S. 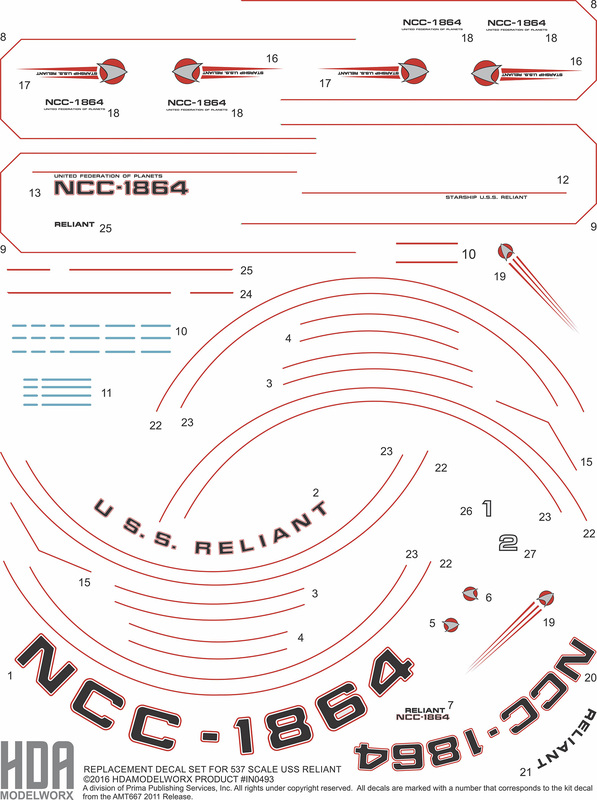 Reliant hull markings and details decal set for the AMT 667 (also referred to as 600 scale) U.S.S. Reliant model kit! These fit the 2011 release as well as all prior versions however these decals are patterned after the 2011 release with corresponding kit numbers. These decals provide the red pinstriping and hull markings only. We have included extras for certain decals, such as the red pinstriping, to help with the ones that are a little more difficult to install.